I shared some a data gronking script earlier today on culling through the Toastmasters International worldwide data at http://wiki.pachogrande.com/howto/tm---pulling-stats-from-educational-archive and thought that it might be interesting to highlight some information from this. 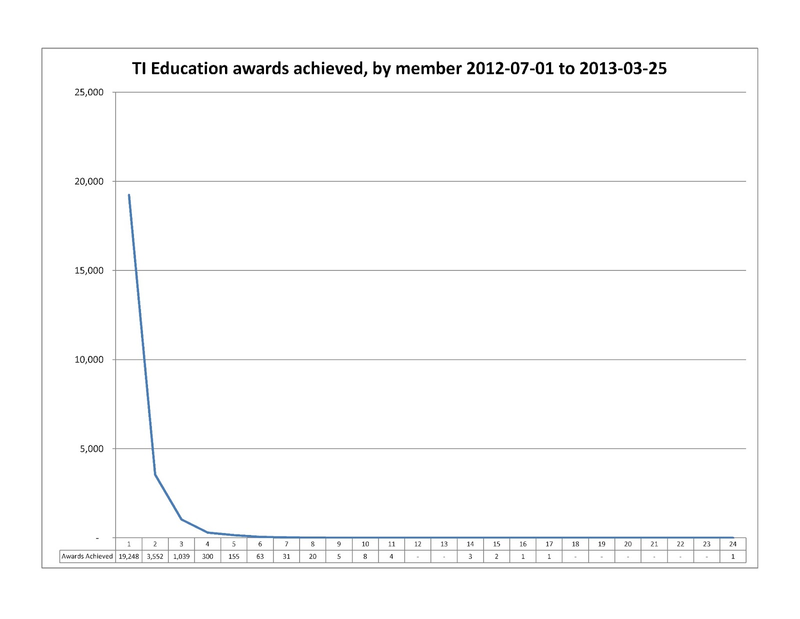 On approximately 250,000 Toastmasters worldwide, 24,433 have claimed at least one educational award this year. 1/10 roughly. 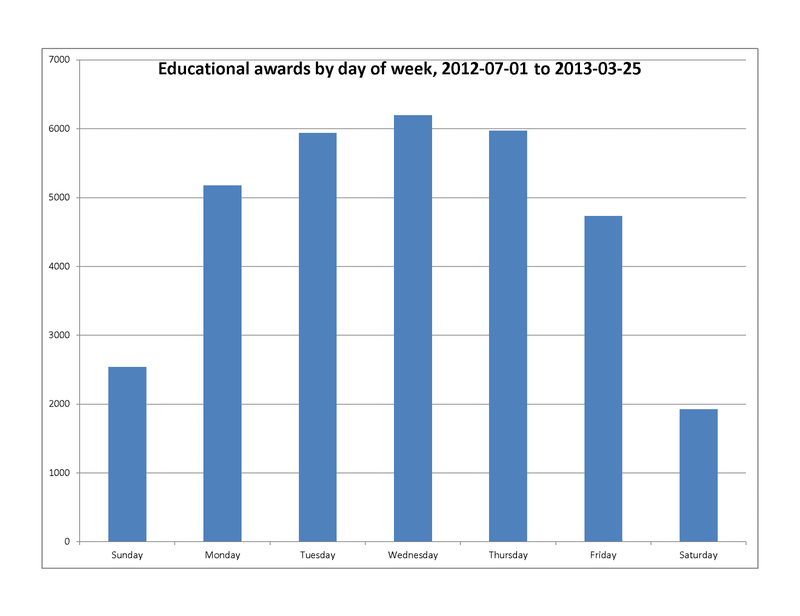 Of those who have achieved an award, average 1.33 awards achieved. Standard deviation 0.84 . Skew +5.39 . 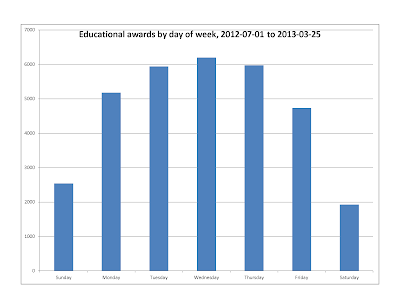 Click to enlarge graph above which includes data table for details. Roughly 39% of awards Basic and Communication, i.e. CC. Communication awards still make up 57% of overall total although as TI magazine recently reported the % of leadership awards is rising yearly. 63% of awards still at basic level. 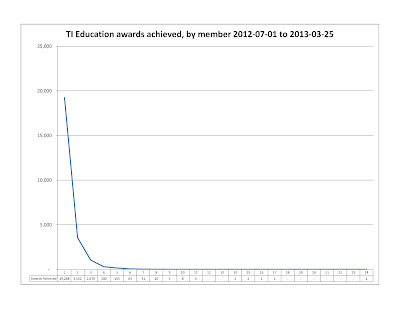 By District, average 382 awards per District, standard deviation 178. My home district 21 is #5 in world thus far.